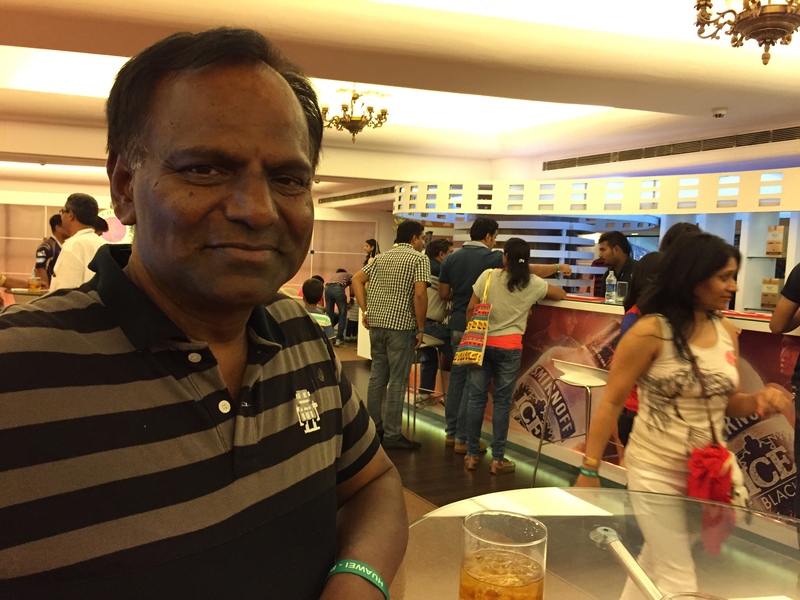 bangalore does: my fancy evening at the rcb match. 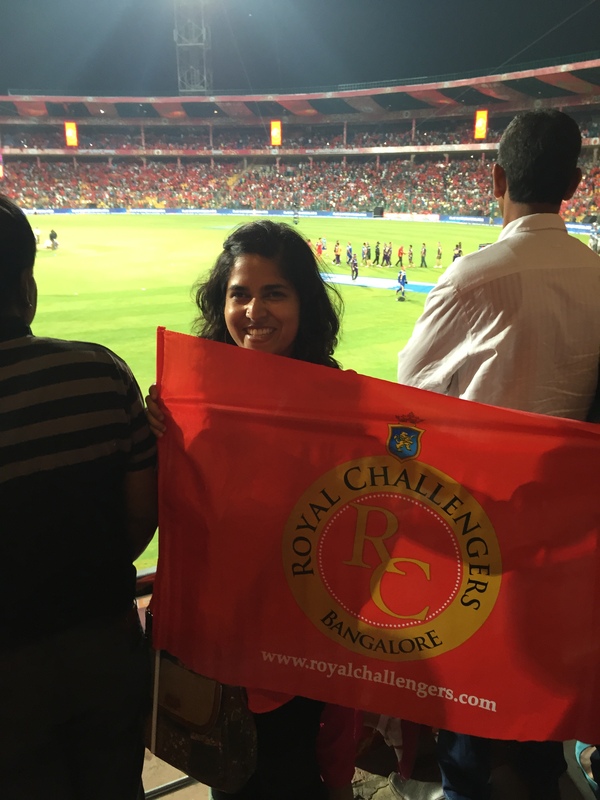 thanks to preetam and his connections, he was able to snag four hospitality passes for last saturday’s royal challengers bangalore match against the kolkata knight riders. 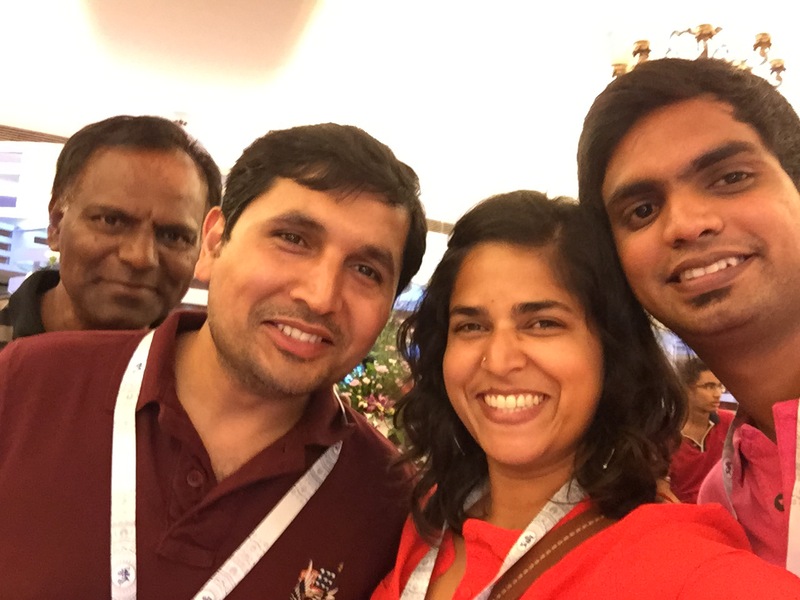 because he didn’t want to go, i got to tag along with kishore, ajay, and anthony appa for the match. feeling fancy with my hospitality pass. bangalore, india. 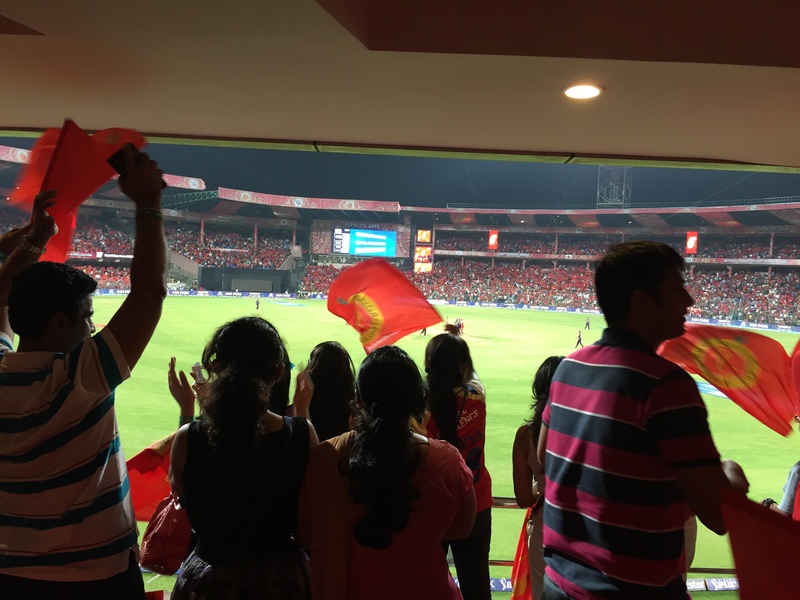 may 2015.
i have been lucky enough to attend 4 previous rcb matches since the ipl launched in 2008, but none of those experiences were anything quite like this. because of our fancy passes, we had access to a lounge full of free food and drinks, plus a private seating section with the best views in the stadium. it was pretty spectacular. enjoying the free food and drinks. bangalore, india. may 2015.
the match itself was a little crazy, since the skies opened up almost exactly at 4pm when the match was supposed to begin. after a lengthy delay and a few false hopes, the umpires finally announced that a shortened match would begin at 6.45pm. we all got ourselves ready and met at the stadium just as kolkata were wrapping up their batting. kkr were batting well, but we got to see a few quick wickets at the end of their innings. during the break we checked out the food and the bar before making our way back outside to watch bangalore’s batting. we had a high total to chase, and it was a bit nerve-wracking after gayle, devilliers, and kohli got out in pretty quick succession. 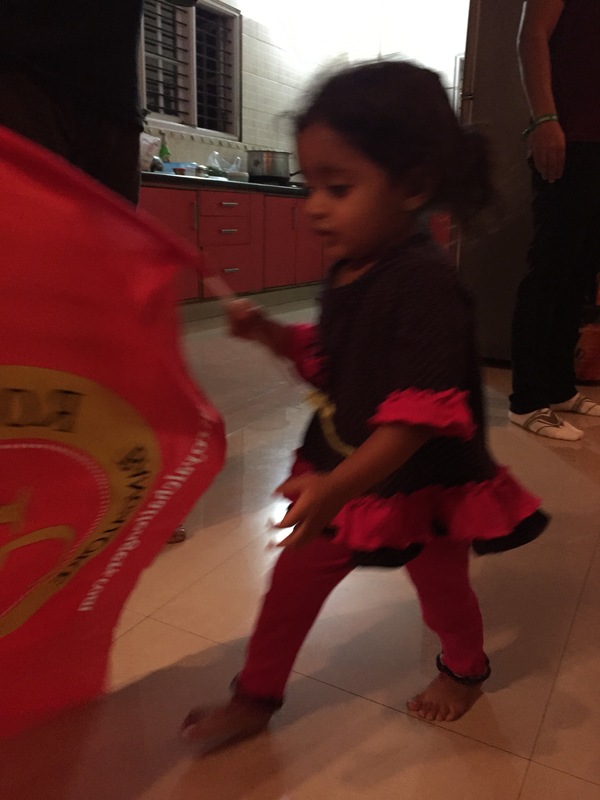 cheering our rcb boys on to victory. bangalore, india. may 2015.
luckily for us, mandeep singh stepped up big time and saw us home with two balls remaining. the last 10 minutes or so were stressful and energetic and chaotic, and it was so great to see the stands erupt when he hit the four that ended the match and gave us our victory. i mean, it was a pretty cool experience. and i scored a free banner! bangalore, india. 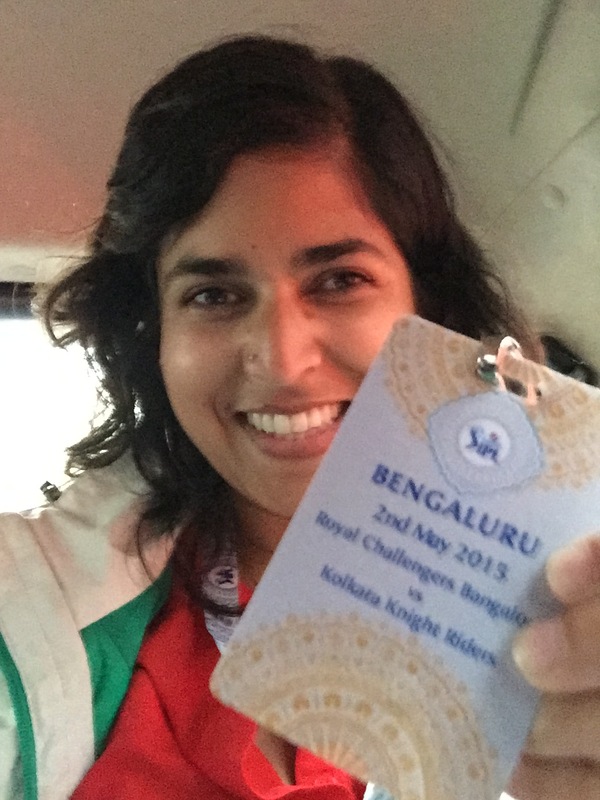 may 2015.
i always love seeing rcb win, but saturday’s match also reminded me of how much i love live sporting events. i have been so sad about missing the end of the nba season and the grizzlies playoff games, so it was great to have the opportunity to be in the middle of that atmosphere again. i have been wanting to make it to a match, but the tickets have become quite pricey, so i tend to watch them at guzzlers or at friends’ houses. since this match had the added bonus of free tickets, it was even more awesome. 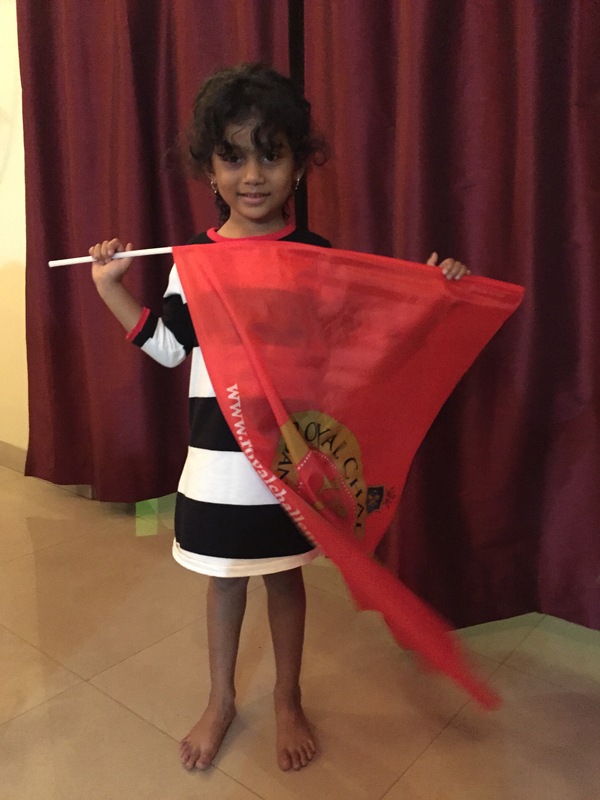 someone enjoyed running around the house with my banner. bangalore, india. may 2015.
getting my girls started young. bangalore, india. may 2015.
and to top everything off, when i went to the itc gardenia in the afternoon to pick up the passes, i got to see virat kohli, mitchell starc, and ab devilliers walking to the team bus. that was definitely the icing on the cake of an awesome day. weekly roundup 12 // 2015.